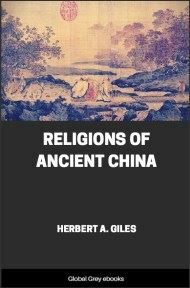 Chapters include: The Ancient Faith; Confucianism; Taoism; Materialism; And, Buddhism And Other Religions. Philosophical Theory of the Universe.—The problem of the universe has never offered the slightest difficulty to Chinese philosophers. Before the beginning of all things, there was Nothing. In the lapse of ages Nothing coalesced into Unity, the Great Monad. After more ages, the Great Monad separated into Duality, the Male and Female Principles in nature; and then, by a process of biogenesis, the visible universe was produced. Popular Cosmogeny.—An addition, however, to this simple system had to be made, in deference to, and on a plane with, the intelligence of the masses. According to this, the Male and Female Principles were each subdivided into Greater and Lesser, and then from the interaction of these four agencies a being, named P'an Ku, came into existence. He seems to have come into life endowed with perfect knowledge, and his function was to set the economy of the universe in order. He is often depicted as wielding a huge adze, and engaged in constructing the world. With his death the details of creation began. His breath became the wind; his voice, the thunder; his left eye, the sun; his right eye, the moon; his blood flowed in rivers; his hair grew into trees and plants; his flesh became the soil; his sweat descended as rain; while the parasites which infested his body were the origin of the human race. Recognition and Worship of Spirits.—Early Chinese writers tell us that Fu Hsi, B.C. 2953-2838, was the first Emperor to organize sacrifices to, and worship of, spirits. In this he was followed by the Yellow Emperor, B.C. 2698-2598, who built a temple for the worship of God, in which incense was used, and first sacrificed to the Mountains and Rivers. He is also said to have established the worship of the sun, moon, and five planets, and to have elaborated the ceremonial of ancestral worship. God the Father, Earth the Mother.—The Yellow Emperor was followed by the Emperor Shao Hao, B.C. 2598-2514, "who instituted the music of the Great Abyss in order to bring spirits and men into harmony." Then came the Emperor Chuan Hsu, B.C. 2514-2436, of whom it is said that he appointed an officer "to preside over the worship of God and Earth, in order to form a link between the spirits and man," and also "caused music to be played for the enjoyment of God." Music, by the way, is said to have been introduced into worship in imitation of thunder, and was therefore supposed to be pleasing to the Almighty. After him followed the Emperor Ti K'u, B.C. 2436-2366, who dabbled in astronomy, and "came to a knowledge of spiritual beings, which he respectfully worshipped." The Emperor Yao, B.C. 2357-2255, built a temple for the worship of God, and also caused dances to be performed for the enjoyment of God on occasions of special sacrifice and communication with the spiritual world. After him, we reach the Emperor Shun, B.C. 2255-2205, in whose favour Yao abdicated. Additional Deities.—Before, however, Shun ventured to mount the throne, he consulted the stars, in order to find out if the unseen Powers were favourable to his elevation; and on receiving a satisfactory reply, "he proceeded to sacrifice to God, to the Six Honoured Ones (unknown), to the Mountains and Rivers, and to Spirits in general. . . . 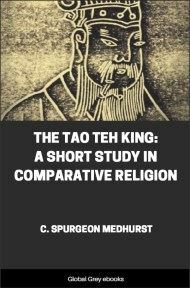 In the second month of the year, he made a tour of inspection eastwards, as far as Mount T'ai (in modern Shantung), where he presented a burnt offering to God, and sacrificed to the Mountains and Rivers." God punishes the wicked and rewards the good.—The Great Yu, who drained the empire, and came to the throne in B.C. 2205 as first Emperor of the Hsia dynasty, followed in the lines of his pious predecessors. But the Emperor K'ung Chia, B.C. 1879-1848, who at first had treated the Spirits with all due reverence, fell into evil ways, and was abandoned by God. This was the beginning of the end. In B.C. 1766 T'ang the Completer, founder of the Shang dynasty, set to work to overthrow Chieh Kuei, the last ruler of the Hsia dynasty. He began by sacrificing to Almighty God, and asked for a blessing on his undertaking. And in his subsequent proclamation to the empire, he spoke of that God as follows: "God has given to every man a conscience; and if all men acted in accordance with its dictates, they would not stray from the right path. . . . The way of God is to bless the good and punish the bad. 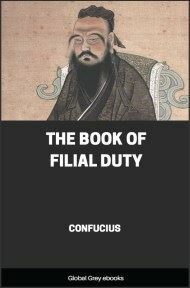 He has sent down calamities on the House of Hsia, to make manifest its crimes." God manifests displeasure.—In B.C. 1637 the Emperor T'ai Mou succeeded. His reign was marked by the supernatural appearance in the palace of two mulberry-trees, which in a single night grew to such a size that they could hardly be spanned by two hands. The Emperor was terrified; whereupon a Minister said, "No prodigy is a match for virtue. Your Majesty's government is no doubt at fault, and some reform of conduct is necessary." Accordingly, the Emperor began to act more circumspectly; after which the mulberry-trees soon withered and died.